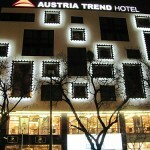 Austria Trend Hotel has a cool outside and it is a modern hotel just outside the Old Town of Bratislava. It is just one minute away from the Grassalkovich Palace and the hotel offers free wireless internet to its guests. 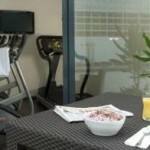 After a long day you can enjoy a visit to the fitness centre or the sauna to gain new strength.